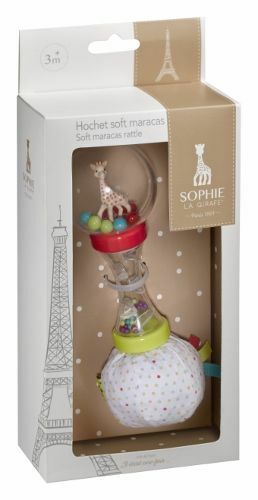 This lightweight rattle is suited to your baby's small hands and is easy to grab and handle. 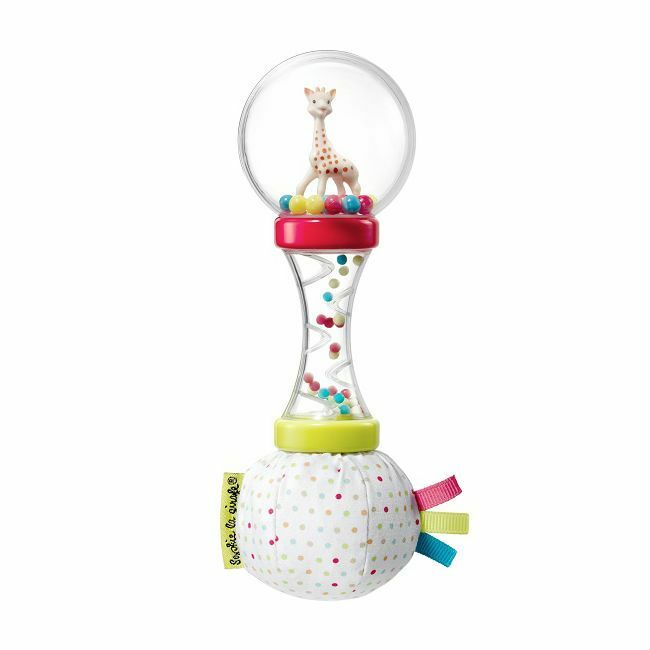 Sophie the Giraffe is surrounded by coloured balls that you baby will enjoy shaking to produce a satisfying rattling sound. The soft fabric end makes a crinkling sound. The textured tags are fun to handle. The hand grip contains beads that your baby can observe as they roll along the handle.